Buddy’s Restaurant is all Filipino Foods. The main branch of this Restaurant is located province of Lucban, Quezon. This place is very popular in Quezon Province for this yearly Pahiyas Fiesta Festival. They have a branch in Makati and more branches somewhere in Quezon Province. They have a two branch in Lucena this is located at SM Lucena and the Quezon Avenue. 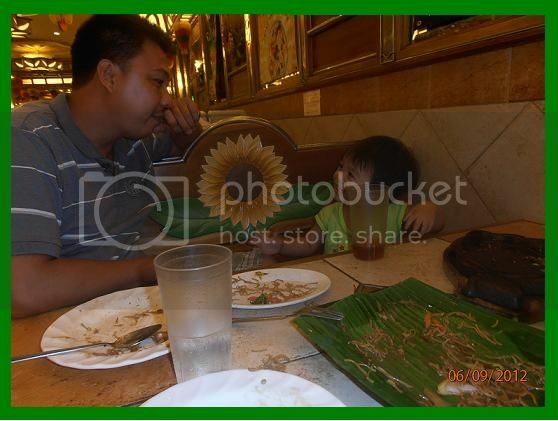 Anyway about the Buddy’ Restaurant Pancit Lucban (Quezon Finest Product) and Pizza is a famous food in this Restaurant. Buddy’s known to many offers the best taste of Pancit Lucban with it’s good and thick and savory sauce that makes its so delicious, full of it’s ingredient that makes good taste to others. 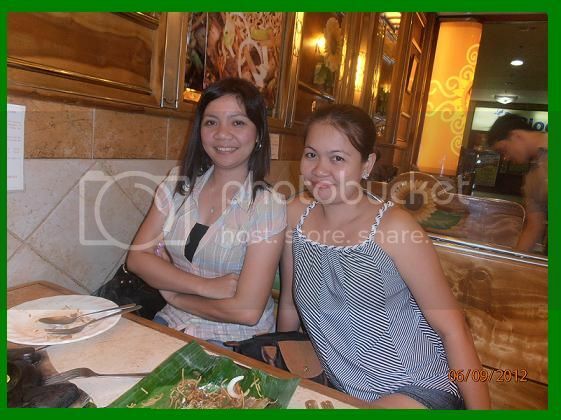 Anyway, my friend Michelle (officemate) inviting me to lunch in Buddy’s Restaurant, located at Quezon Avenue, Lucena City. We also ordered Lechong Kawali, Sisig , coke and leche plan for our dessert that also good in taste and one of my favorite menu here in Buddy’s Restaurant. The kiping decoration is a brightly colored, leaf-shaped wafer made of rice paste (exclusive and originally for buddy’s only). It is considered an integral part of the Pahiyas Festival in Lucban, Quezon. And they have a chair with sunflower design; it looks beautiful and very attractive to the customers. This is me in the photo 🙂 , they have the artificial tree decoration with beautiful light at the center of this restaurant. It looks very nice and attractive to the customers.